How your customers feel in your commercial space is just as important as the quality of products or services you sell. Eggert Cooling & Heating can help by providing you with smart and efficient light commercial AC systems. 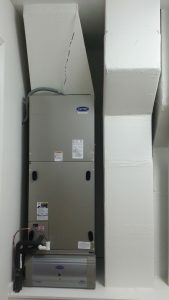 Our flexible commercial heating and cooling products are both affordable and energy efficient. Wether you are investing in new construction or replacing a current system, we can help you get a positive return on your investment.